Venice Art Crawl: 12-20-12 - Yo! Venice! 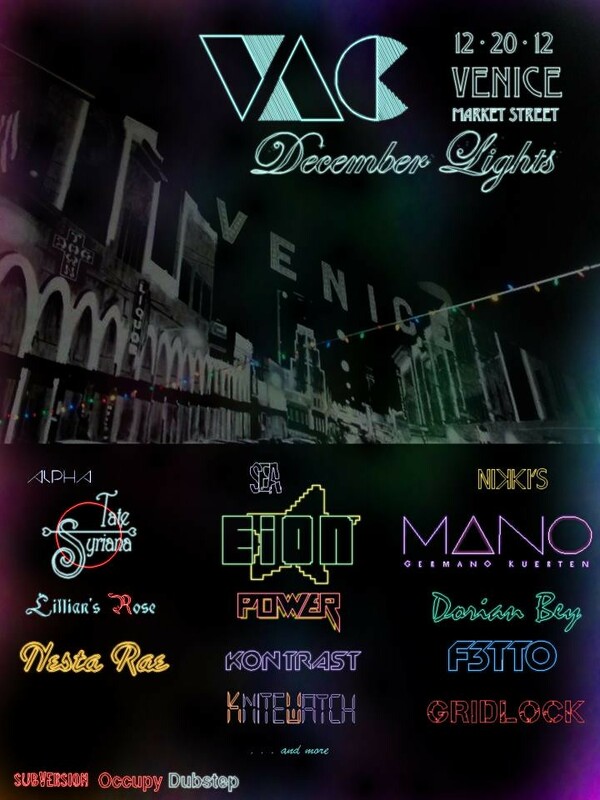 The Venice Art Crawl is happening on Thursday! The theme is “December Lights”! Of interest this “crawl” will be Sunny Bak’s photos at 33 Windward and the big party with DJ’s and light shows planned for Market! Go check it out! The after party is at Nikkis and continues till 1!